I am glad i found your website. I am starting learning SEO right now, for my own Blogs. 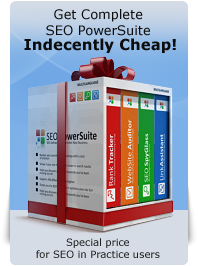 I really enjoyed reading your SEO guide, I bet this stuff can help me a lot. Thank you for advising, i will re-read your guide. Do you know any professional person who can offer SEO service? Thanks. Otherwise, i used those keywords to our b2b platform for advertising,then i did search, i just found several results, but type some keywords like shoes,handbags,t shirts,our products are not in good rank, it is usually on the second page or third page, it is very strong competition. So, how do i do? are they good keywords just have several results when we do search? when people are looking for something to buy online, do they usually use one-word keywords,two-word keywords or three-word keywords? i am confused. Your website is really over-stuffed with keywords. Each page has so many different keywords on it that the search engine bots will not really know what exactly your site is about. The best way would be to optimize each page for up to 3 keywords, so each page is optimized for 3 unique ones. In your case, an online shop, you will need to work on each product's page. There is nothing wrong with the keywords themselves, they get high traffic from Google and other SEs but they will require a lot of work - first onpage optimization then link building. You could go through this guide firs, especially the landing page chapter, and then see what you can do. I'm re-reading this book because, as with so many resolutions, I realise that I haven't done all the things I was going to do when I first read it. SEO is an ongoing process and the situation changes month by month, but it's handy having this guide to hand to refer back to. Can we rely on it being upgraded regularly? Yes, we update it if something major gets outdated. Moreover it won't get unnoticed and you will see comments from other SEOs contributing and sharing their expertise, so you can browse comments as well. I am Harendra and I just start my career in seo field and I want to more about the seo . How I can improve my skills and make myself good in seo field . looks like the SEO book the introduction of which you are commenting on is just for you! :) Please read it and complete all the quizzes and then ask any specific questions you will have left. I read your book, but i think i am still confused about something. i have a question, can you or your team help me to optimized our website, we mainly wholesale shoes, t-shirts, sunglasses,jeans,jackets,belt,handbags and so on. website: www.shoesspring.com and if you do this work, how much do we should pay? we are looking for a professional webmaster to promote our website, hope you can help us,thanks. Well done! I've been paying dearly for SEO services and they've happy to give me the old mushroom treatment... keep me in the dark and feed me B.S. you can't put HTML code or links on the page,because you do not have access to the cpanel. Well if you do not have any access to page elements then there can't be any onpage optimization... Optimize whatever you can, lie titles, descriptions and headings, and then just move on to acquiring one-way backlinks, that would be the only option. PS Great job Dan on the SEO in practice book. Thank you. Is it more SEO effective to have a navigation bar linking to each page in "parallel" (from all pages to each of the other pages) or is it a better practice to add a link to the next page at the bottom of each previous page - linking in "series"? 1) It does not really matter. A navigation bar would speed up the indexing of your pages a bit, but in terms of link juice nothing really changes. 2) It's better to use the full address.